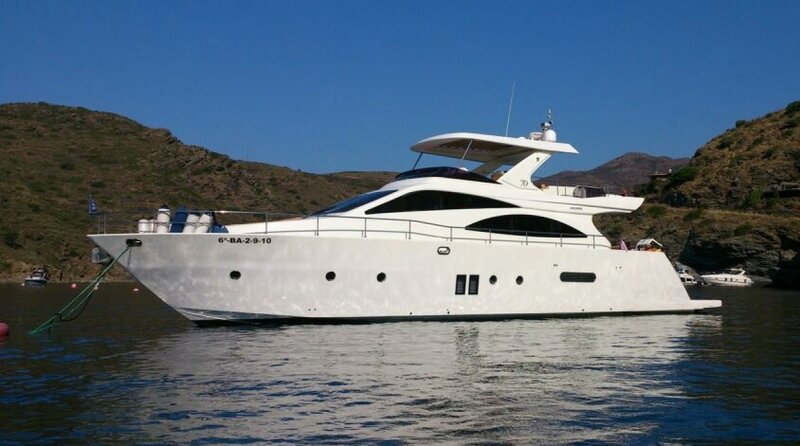 Excellent finishes, complete equipment, luxury and comfort in this spectacular motor yacht. It combines light colors with noble woods inside, creating a very welcoming atmosphere, the kitchen is fully equipped. In the exterior there is a huge solarium at the bow and a very nice terrace in stern. Equipped with 4 double cabins and separate cabins for the crew. 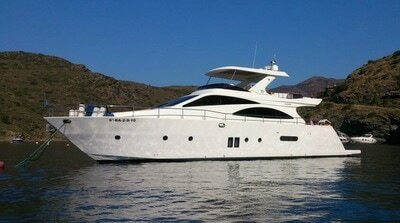 Ideal for holidays, corporate and private events and daily excursions. 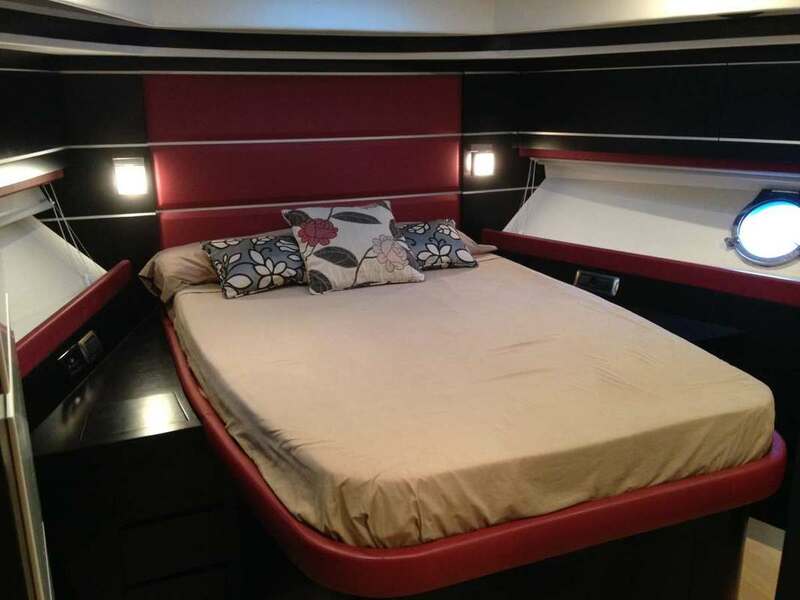 VIP cabin: double bed, fitted wardrobes, access hatch to the foredeck and separate bathroom. 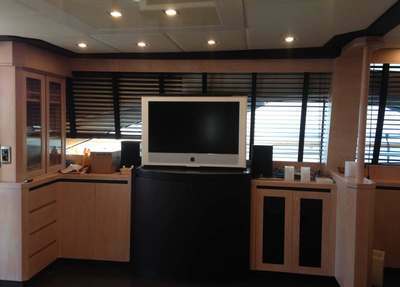 Owner's cabin: double bed, side cabinets, drawers, courtesy lights, 20-inch TV and music. 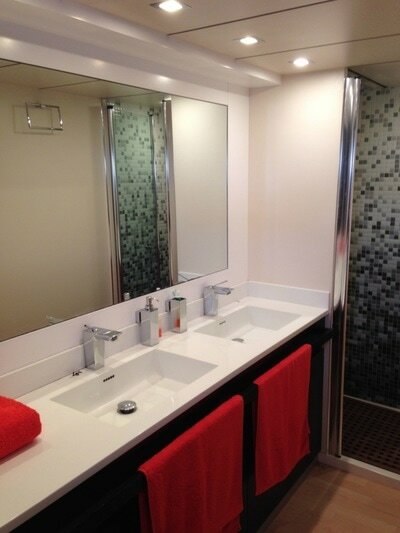 Private bathroom and large dressing room. 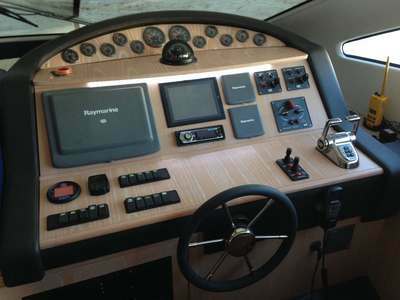 2 equal cabins in port and starboard. They feature 17-inch TV and music speakers. There is one bathroom for two cabins. 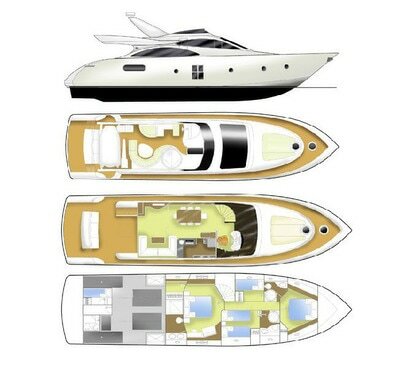 The price includes Spanish VAT, captain+sailor, standard equipment, dinghy with 50HP engine, mooring in base port, dishes and cookware, linens / towels and insurance (boat and personal accident). For bookings, 40% of the rent to reserve. The remaining 60% is paid two weeks prior to shipment or cash the day of shipment. 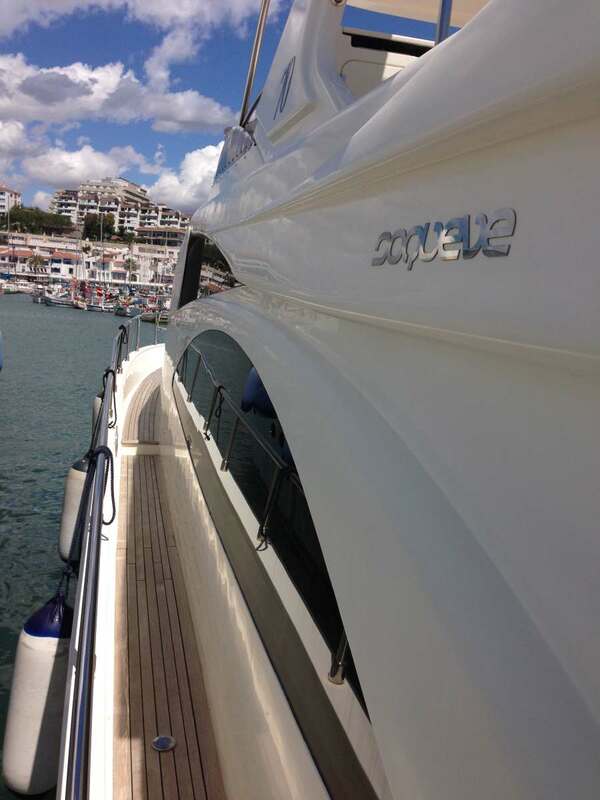 Shipments / landings: For weekly rentals, shipping is done at 16.00 hours and landed at 19.00. For rentals of one day the shipment is at 10.00 and landed at 19.00.